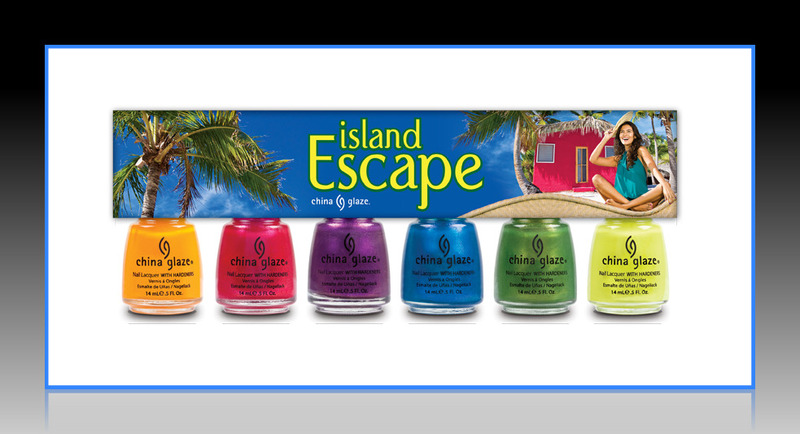 Promo pictures for the China Glaze Summer 2011 Island Escape Collection are starting to show up already! I saw these a few days ago on a couple of sites, and Yen from VNS sent these over to me this morning. It's a little early to be thinking about Summer collections, but I don't mind seeing them! Could that green shade be a dupe to the infamous Moonpool? These look great! I'm curious to see how they are on the nail. I'd be cool if they lined it up in the colors of the rainbow. Summer brights but frosty/metallic. Not feeling it. Seems SO early for these, but I'm liking what I see! I'm trying to get my hands on the Holiday stuff. 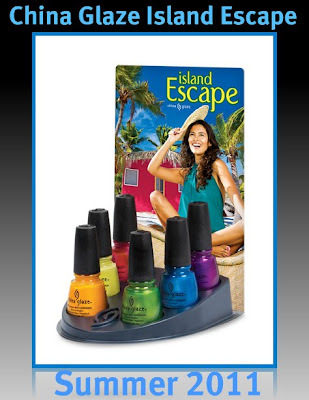 I need to place a big order to a nail e-tailer soon and now this?! :( Shipping is going to kill me. I don't have Moonpool but I've seen it's greatness online. Want! Gosh, Summer just ended! Lovin' that green. It's been a year since the Poolside collection came out!? Oh wait, no, it hasn't they just release new collection info way early. Thank God their not neons. I think they will look pretty when the time comes. What?? Summer already? I can't even start thinking about that right now. I'm overwhelmed enough with fall/winter/holiday collections! I really do hope that green is like Moonpool..
yikes.....looks like last years or the year before collection. no likey.